ThingLink Mobile is the ideal iOS App for creating interactive images with embedded video players, text links and @Twitter IDs. 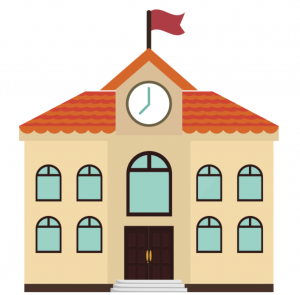 This post focuses on adding live videos to images. 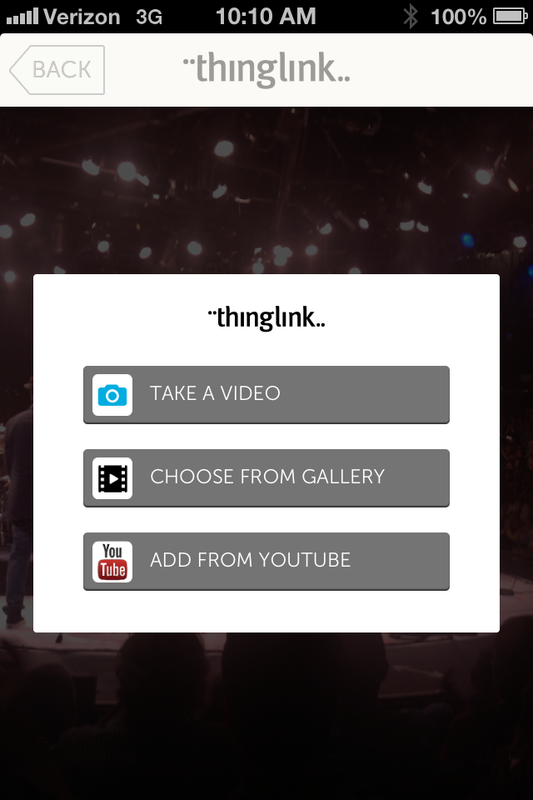 Take a picture with your iPhone using ThingLink Mobile (or use an existing photo). I saw the band Chicago at Westbury Music Fair this weekend and used ThingLink to capture videos of my favorite songs on images shot at the show. 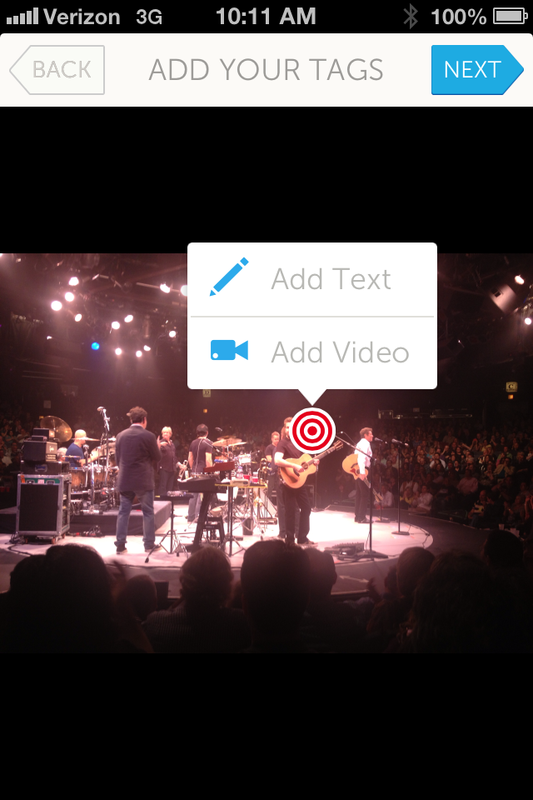 Here’s how you can take family and concert photos and capture moments around you daily by adding videos into your images. 1 Open ThingLink Mobile on your iPhone. 2 Take a new photo or use any image from your gallery. Add Text – touch and add any text including #hashtags and @Twitter handles. Now lets add a video. 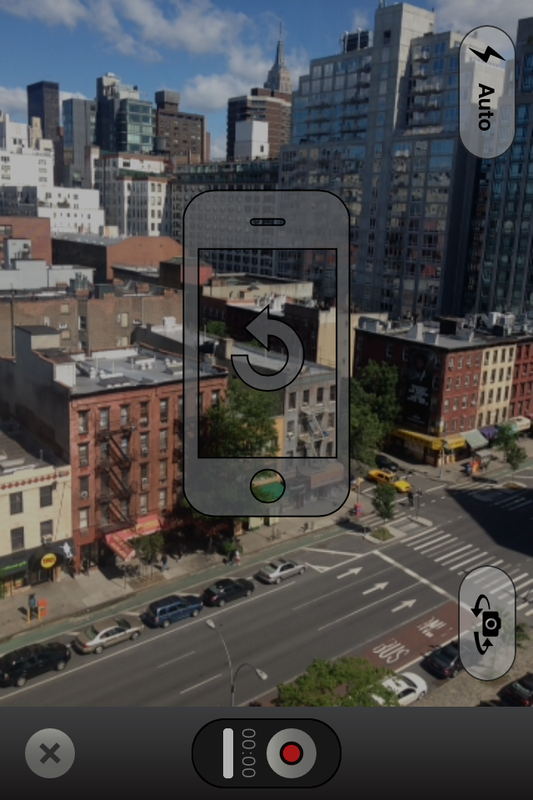 Take a Video – shoot your own 30 second videos. Choose from Gallery – add videos you’ve already shot with iPhone. Add from YouTube – touch and open up a search on YouTube – add your favorite videos from YouTube. Shooting video with the REAR camera, hold the iPhone with the HOME button to your right. Shooting video with the FRONT camera, hold the iPhone with the HOME button to your left. IMPORTANT: NEVER shoot videos with the camera held vertically. 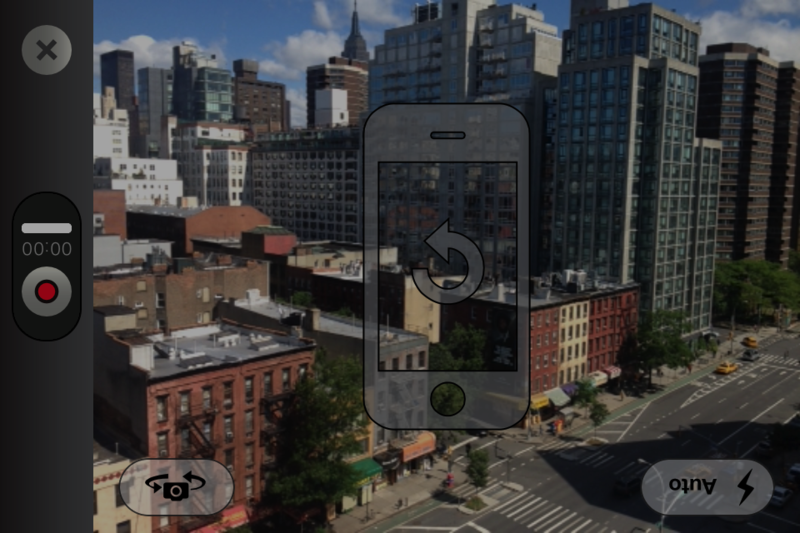 If you see an iPhone image overlay while getting set to shoot a video, it means you’re holding the camera incorrectly. The iPhone image overlay is an error message. Flip the camera until that overlay disappears. When the image disappears, you’re ready to shoot. The image below is what you see if you shoot video and have the HOME button on the wrong side. The image overlay is an error message. Flip the camera until that overlay disappears. Here is what you should see when you’re holding the camera properly. Now, you’re ready to shoot. 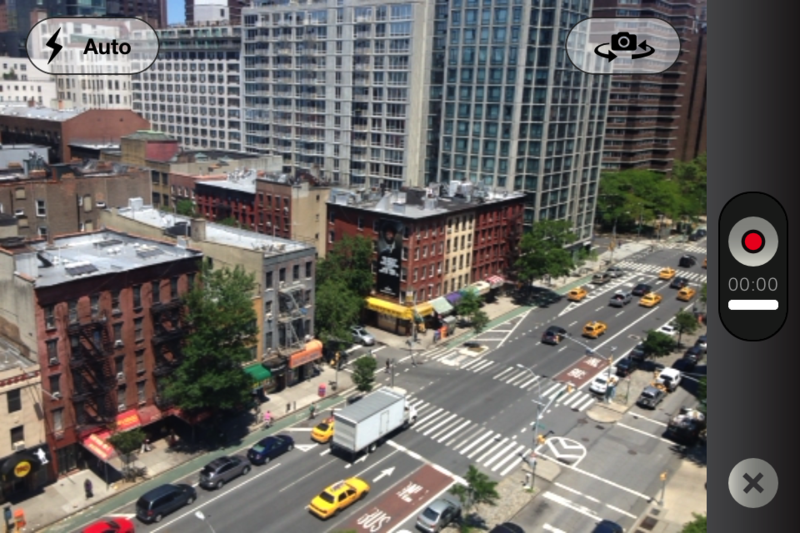 Good luck shooting ThingLink Mobile videos. Questions? 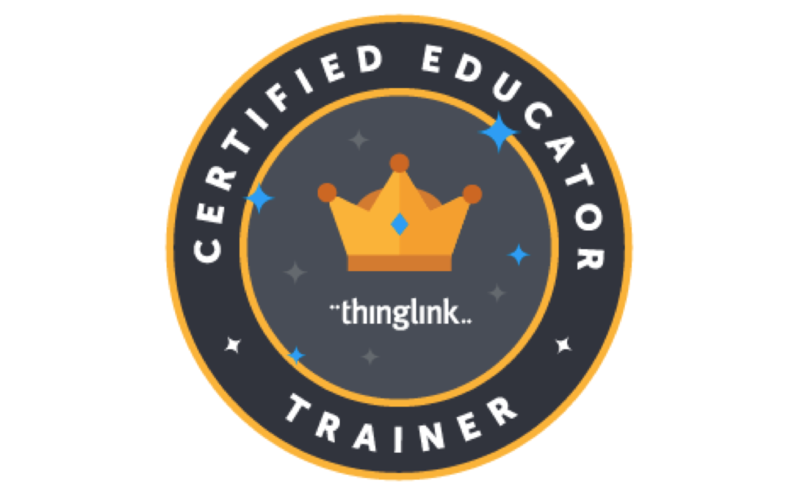 Write to support@thinglink.com.